A for lease sign posted at Clarendon Grill. Clarendon Grill, long a fixture of Arlington’s nightlife, could soon be on the move. 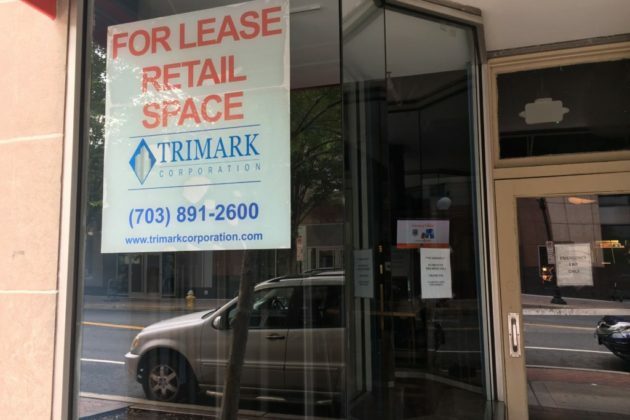 “This space will go fast!” the listing proclaims, advertising the location as “the heart of Clarendon.” A realtor with Trimark declined to discuss the listing and referred questions to the restaurant’s managers. Owner Peter Pflug did not immediately respond to a request for comment seeking clarity on whether the restaurant is shutting down or moving elsewhere. 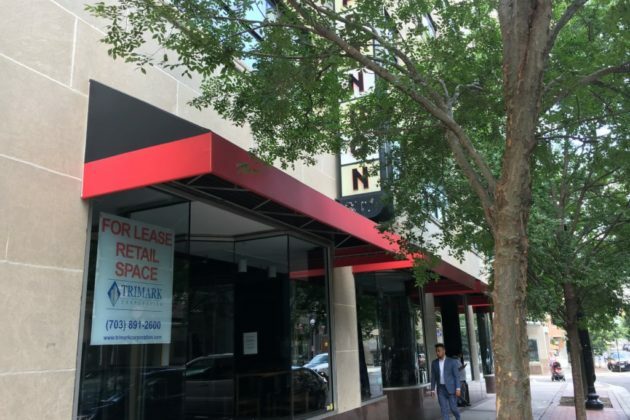 He previously told ARLnow that he’d signed a lease to remain at the location through 2022, even as high rent prices have challenged some local businesses. The bar’s been in business since 1996, making it one of oldest establishments in downtown Clarendon. The space was fully renovated in 2010, and has regularly hosted a full slate of live entertainment and even salsa dancing classes. The restaurant currently lists live entertainment dates throughout the month of August on its website.